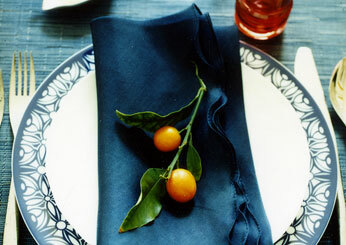 This blue woven-vinyl runner by Chilewich is easy to clean and adds a layer of texture to the table (from $44; chilewich.com). 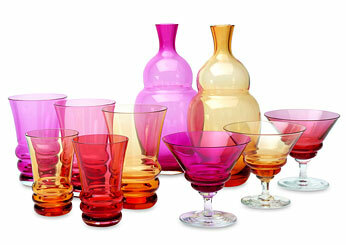 Grapefruit-pink glasses carry through the citrus theme of this Spanish holiday table ($75; tartontheweb.com). 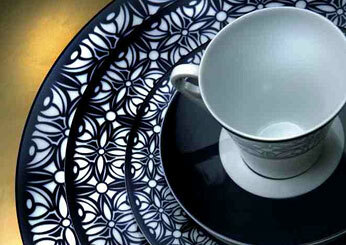 The navy-and-white border is reminiscent of Spanish lace (from $80; michaelcfina.com). 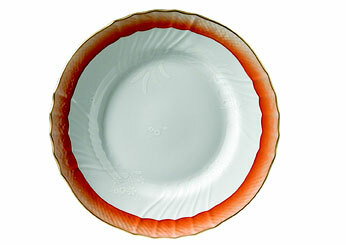 Richard Ginori's Rouge Fumé plate has a pumpkin-hued edge that evokes autumn colors ($87; michaelcfina.com). 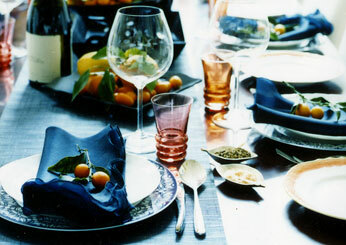 Napkins by Kim Seybert resemble the ruffles on a flamenco dancer's skirt ($28 each; neimanmarcus.com). 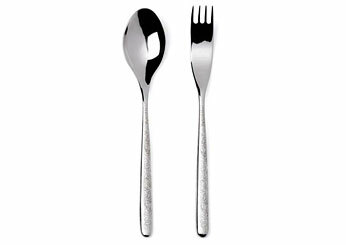 For this flatware, designed by innovative Spanish chef Ferran Adrià, delicate baroque flowers are etched on heavyweight stainless steel ($106 for a 5-piece place setting; fitzsu.com). 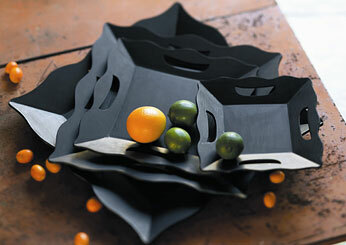 These ebony trays by Roost have a Moorish vibe and are perfect for serving cocktails ($139 for a set of 4; scarlettalley.com). 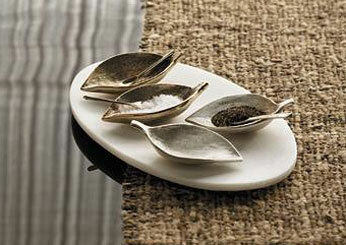 These leaf-shaped salt and pepper cellars by Roost are made of hammered metal ($20 each; tribbleshomeandgarden.com).